Only 120 in stock. Additional quantities will deliver at a later date. 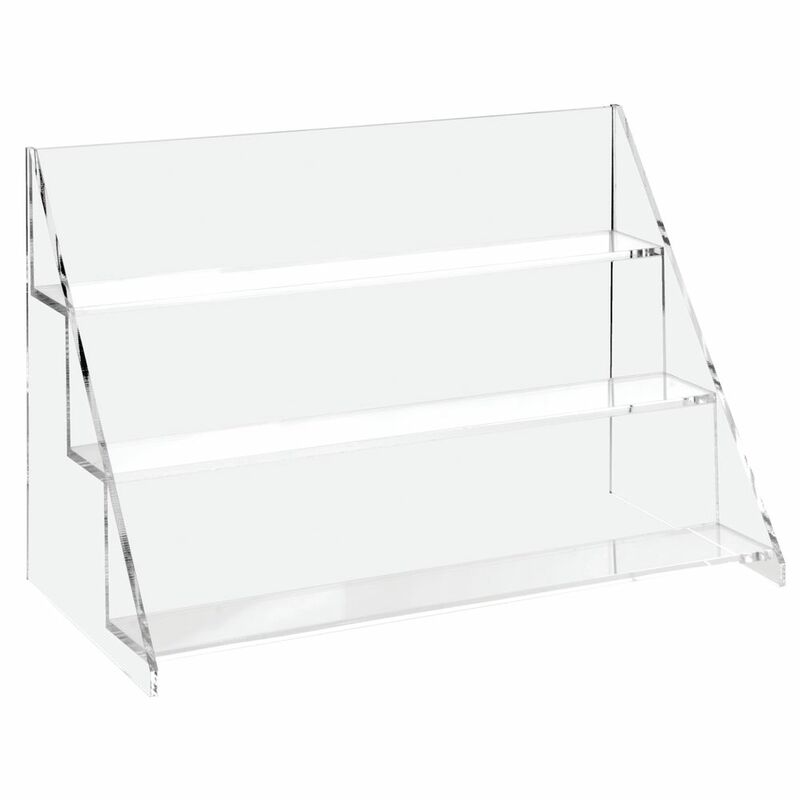 This 3 tier counter display is made of acrylic. The rack can be used with 2" deep shelves or reversed to have 3" deep shelves. This 3 tier counter display is 15" x 7" x 10" (W x D xH). 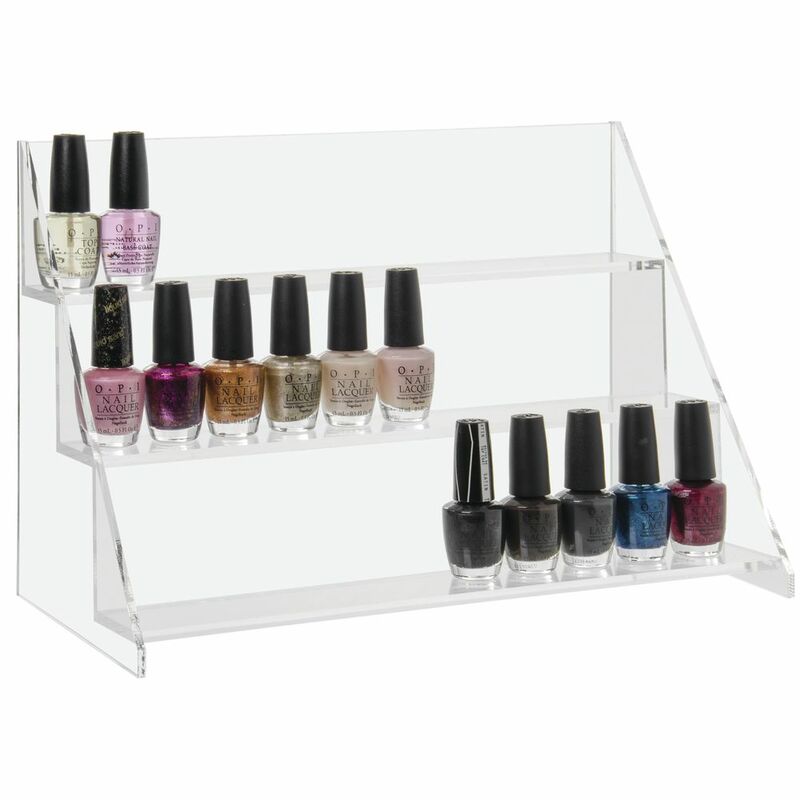 The display rack would work great for point of purchase sales. 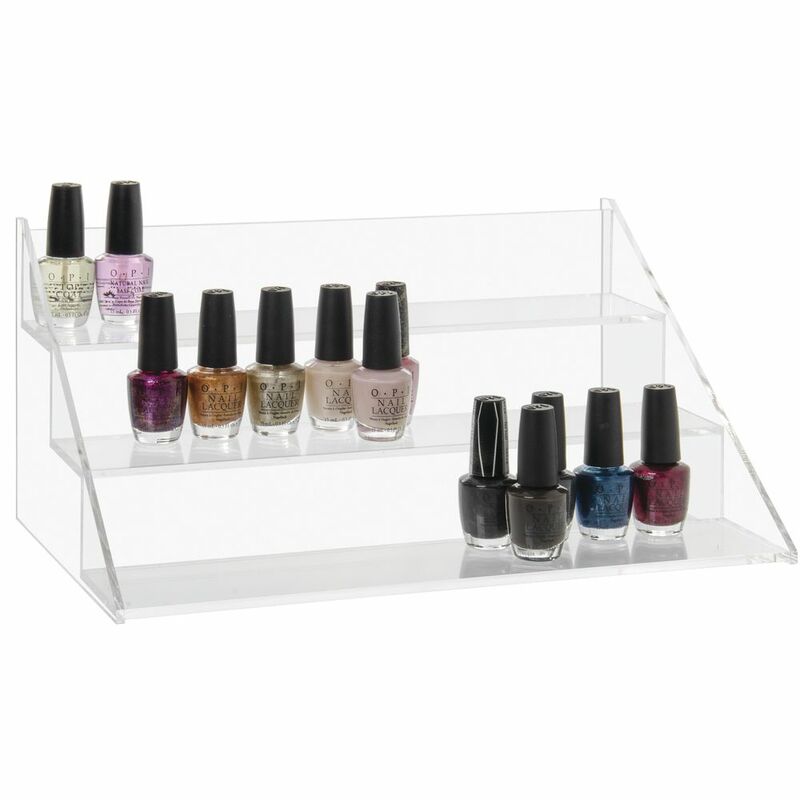 The 3 tier counter display can be used in a showcase as a riser. 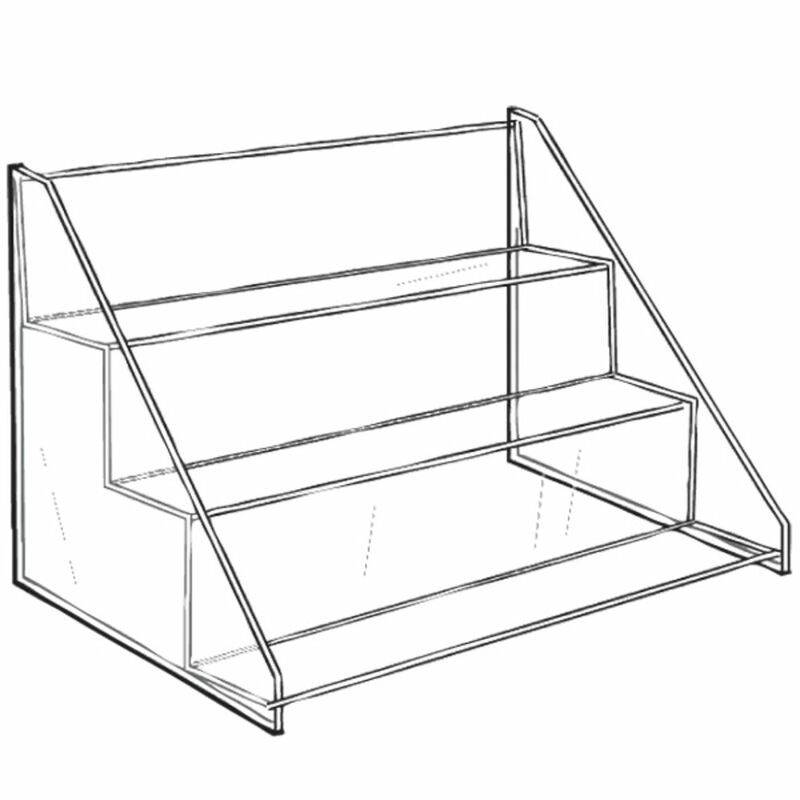 Three Shelf Counter Rack, 21"